Relax in our deluxe atomic lounge chair and ottoman. 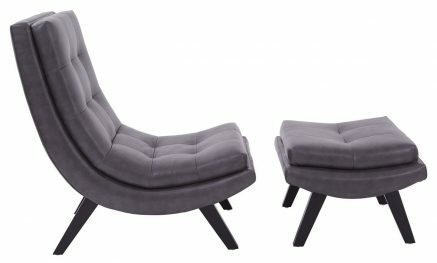 The sleek design nods to the iconic mid century modern aesthetic. Grid tufted cushioning adds comfort and high style. Offered in black, red, pewter, and white Bonded Leather for a cool sophisticated look.